You could wind up with too much garlic, but that’s not necessarily a bad thing. The last thing you want to see in your garden are deer. 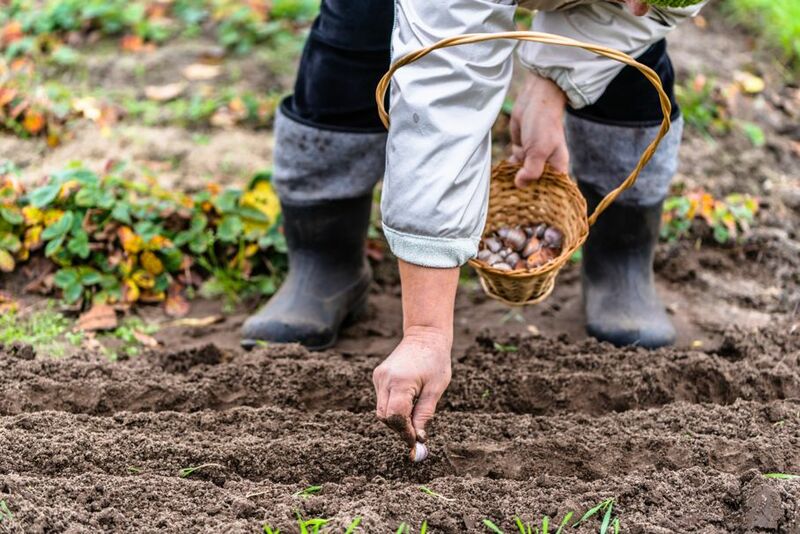 There are many ways to make a garden deer-proof, but planting garlic is probably one of the easiest. A deer’s sense of smell is 10,000 times stronger than humans and deer don’t like the smell of garlic. Few creatures can tolerate the strong odor of the stuff. Planting garlic around your garden or in with your plants should keep most creatures from making short work of your efforts. Deer are herbivores, or plant eaters, and have ferocious appetites. The can consume up to five pounds of plants a day. They feed mainly on tender green leaves, budding twigs, the succulent shoots of new grass, and vines. Your garden is like a dessert buffet for a hungry deer. Fencing is an obvious choice to keep deer from snacking on your plants, but deer can jump up to 12 feet high, and fences can be expensive and ugly. Garlic is a natural deer deterrent. A member of the onion family, it’s a very hardy plant that can grow in almost any soil. 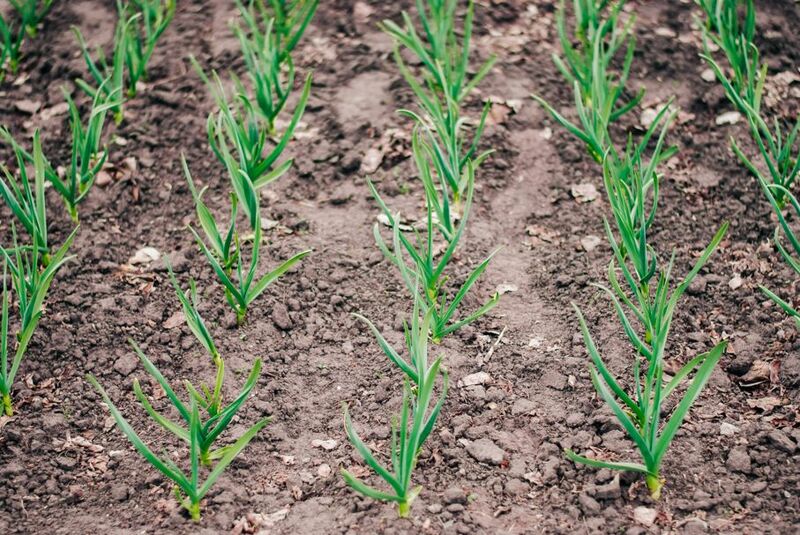 Garlic prefers direct sun with good soil drainage, but it will grow almost anywhere. Garlic can be purchased in bulbs, then separated out into cloves, and pushed into the ground near your vegetable plants. You can plant garlic that you buy from the grocery store, but make sure it’s organic. Most garlic is treated so it will not sprout and will rot before it makes roots or shoots. Once you have garlic growing, you can replant the cloves you don’t eat or let it go to seed and save the seeds for spring and next year’s garden. As your garden and garlic begin to grow, periodically cut off leaves and the curly stemmed flower from the garlic plants and let them lay throughout the garden. The leaves and the flower give off a powerful garlic odor that can be smelled for great distances by garden pests. 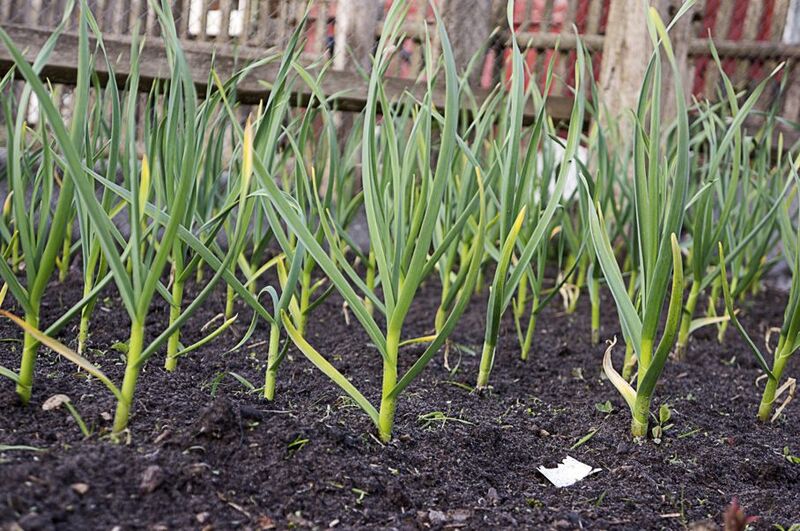 Keep enough leaves so the garlic bulbs below the soil will continue to grow. As garlic matures, some will put out curly shoots that will later turn into seed pods. 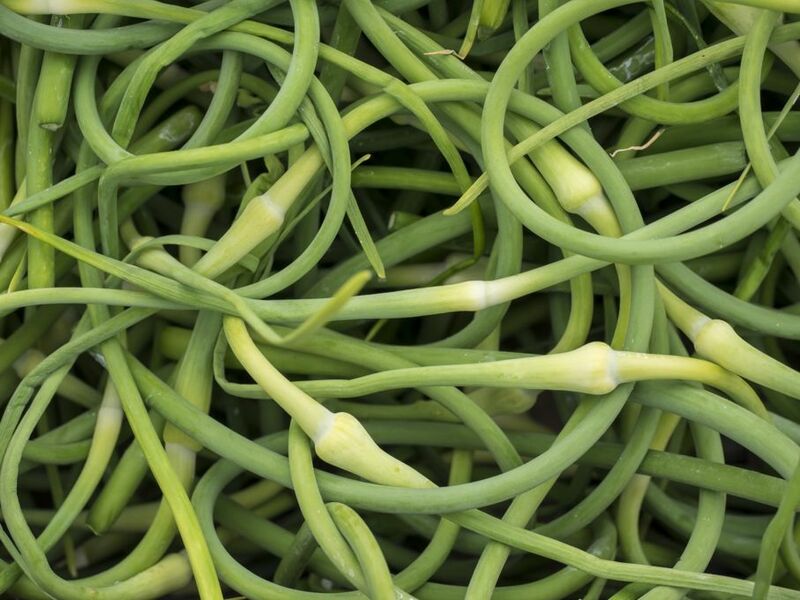 These curls are called scapes and can be eaten and used like scallions. Cutting the scapes will make the growing garlic bulbs larger. If you plan on filling your garden with garlic next year, leave some of the scapes so they can mature into seed pods. You can plant the seeds in the fall or wait until spring. Garlic is mature when the leaves begin to turn yellow and scape or flower pods break open. You can pull up the garlic about the same time you harvest your vegetables. Cut off the top of the green stalk and leave it in your garden. Deer are intelligent and tend to remember things from year to year. If they associate your garden with being a foul-smelling place, they will avoid it and graze elsewhere. If you leave the seeds in the garden, they will produce new garlic plants in the spring. 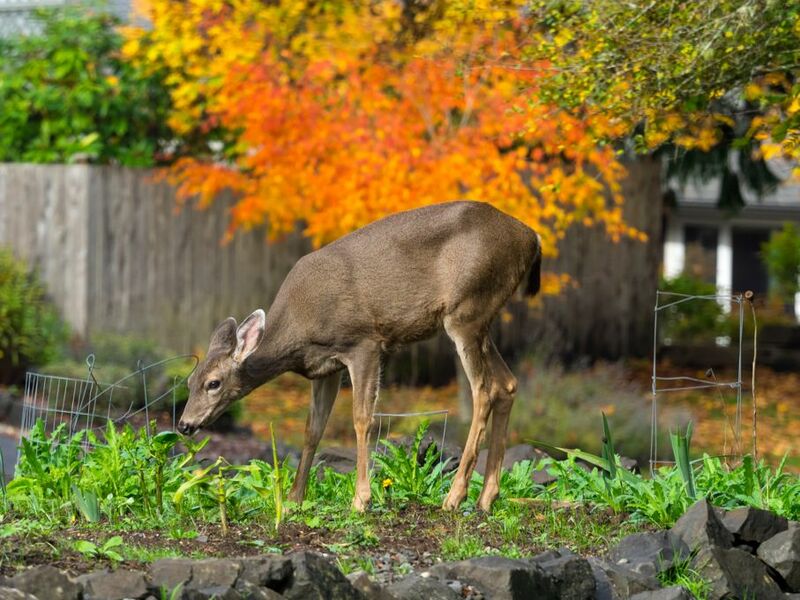 There are other natural ways to keep deer and pests from helping themselves to your garden plants. Sage, narcissus flower, peony, and lavender all smell bad to deer. The scent of dogs and humans will also keep deer at bay. 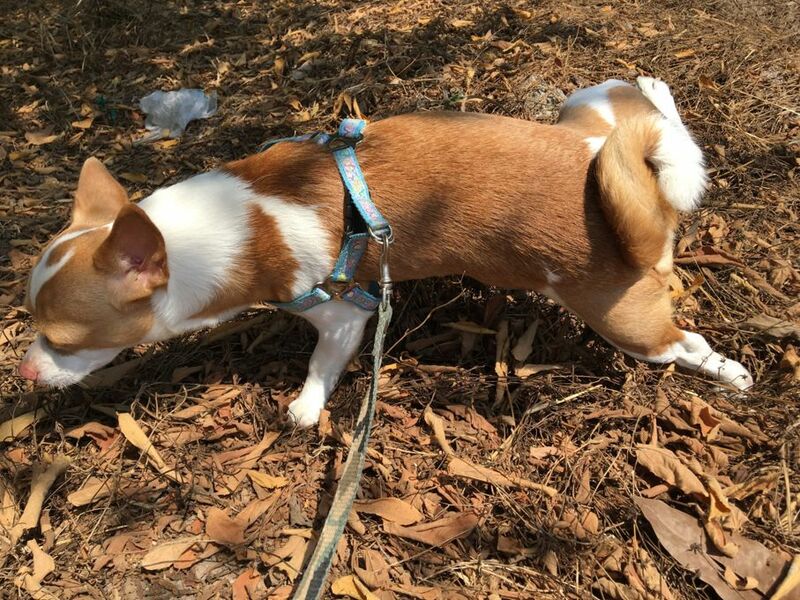 If you see Fido lifting his leg, direct him away from the plants, but let him claim his territory. Dog and human urine tell deer there are predators in the area and they need to stay clear. How you plan on claiming your territory is up to you, but human urine is full of nitrogen, potassium, and phosphorus, which are the main ingredients in common fertilizers. Human urine is usually sterile, so there’s no risk of bacteria contaminating your plants. Pure urine will cause nitrogen burn which will probably kill your plant so make sure the urine is diluted or in an area that will soak into the soil away from plants. If you’re having a problem with deer and other creatures eating your garden plants, consider a crop of garlic. This hardy, quick-growing plant keeps more than just vampires away and also results in a bountiful harvest. You can replant it every year as you plan out your garden or plant it in the fall so it’s up first thing in the spring. It’s very easy to transplant if you don’t like where it’s growing. Once you have garlic growing in your garden, plants that did not get harvested will come back year after year. Any seeds that hit the ground will also sprout up new plants. You could wind up with too much garlic, but that’s not necessarily a bad thing.